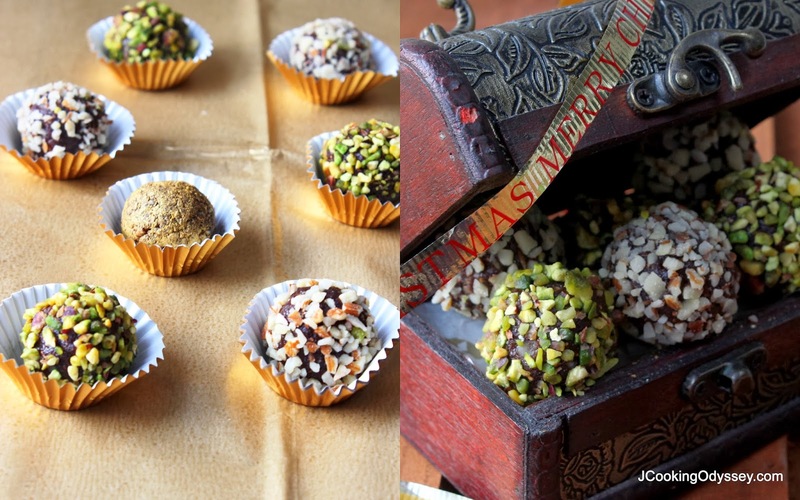 Jagruti's Cooking Odyssey: Super food caramel truffles and countdown to Christmas ! 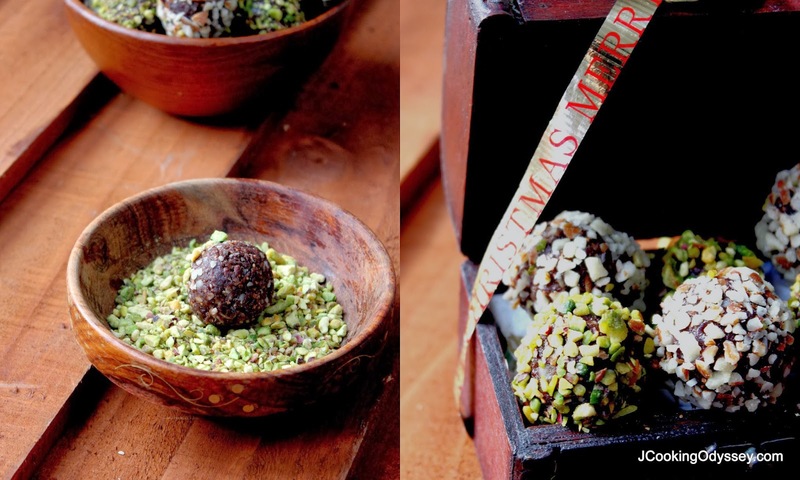 Super food caramel truffles and countdown to Christmas ! The countdown has began, only eight days to go ! From young to old everyone is eagerly waiting for the magical festive Christmas day to arrive. That means the wait is only eight days more and your home will fill with lots of excitement, giggles and fun, only eight days till you can listen to your favourite Christmas carols and only eight days to get in all the must watch Christmas movies again and again. And only eight days to do festive shopping, wrapping gifts and baking some goodies you see on the net. Must hurry, no time to waste ! Christmas brings lots of excitement in children, bringing the families together. Lists for Santa are already written and all of the advent calendar chocolates are already eaten! Children are eagerly helping with decorating the Christmas tree and the house is decked up with lights and tinsel. The town centres add to the festive cheer, great outings include visiting the local ice rink or watching a pantomime or two... we say they are for the kids, but we can't get enough of them too! Communities come closer through Christmas cards. A Christmas dread is getting that all important Christmas present, so many adverts on tele, gift guides!! But isn't it the thought that counts? Spending time on choosing the right gift? It's becoming more and more in these days to make a present. The time and effort simply screams an amazing gift! Make Christmas more personal by making gorgeous gourmet gifts, and make friend's and family's festive season more sweeter! Forget the expensive perfumes, futuristic gadgets or sensible socks. 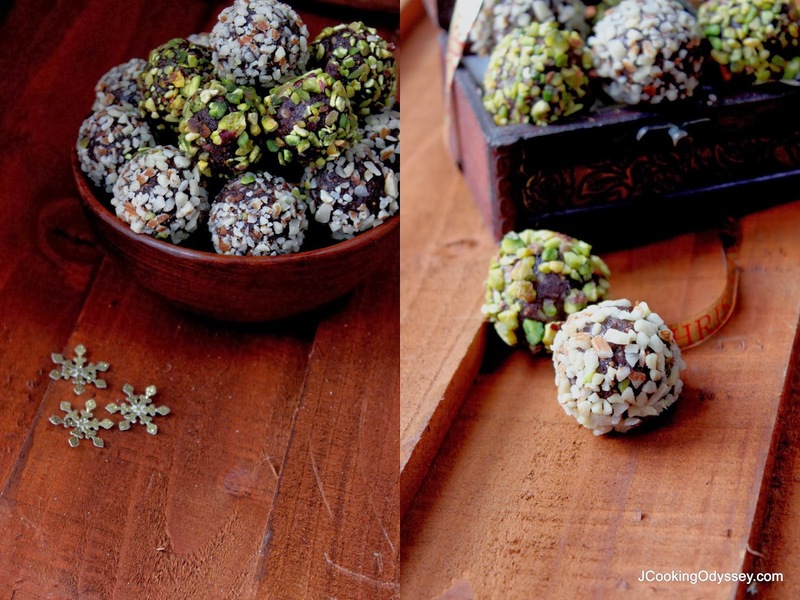 One such treat are these Superfood caramel truffles ! 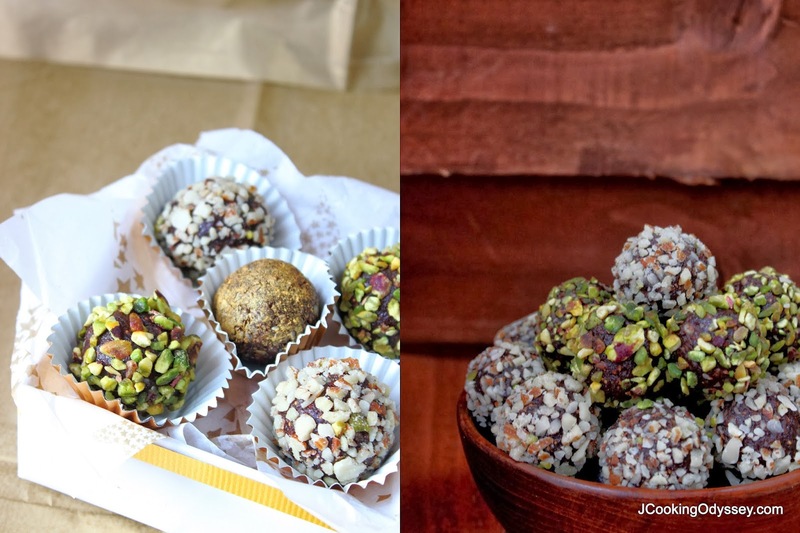 Superfood caramel truffles are incredibly easy to prepare, are a healthy treat and absolutely delicious. Great alternative to rich chocolates or biscuits. 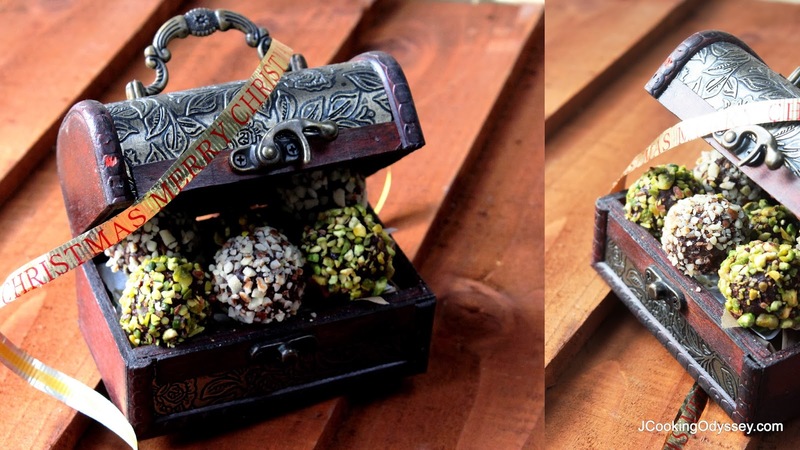 Make them yourself, present them in a beautiful box and they will look as expensive (or even more!) as a box of chocolates! 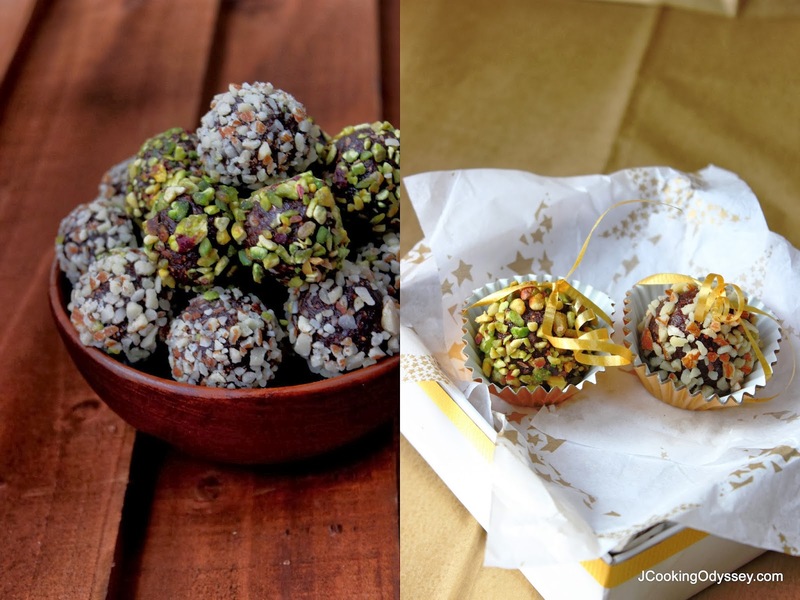 I've been making these truffles and many healthy dry fruit and nut treats for the family most of the time .... thought of adding chocolate powder as it is festive season, at the Christmas time chocolates are very much appreciated. Soak dried figs in a water for few hours. Drain the water and pat dry figs, leave it aside. Meanwhile roast the seeds for 7-8 minutes on a very low heat. Cool and make coarse powder. Place soaked figs, dates and raising in a food processor and make a paste, half way through grinding add cashew nuts and grind with the fruit paste. Heat unsalted butter and add ground fruit paste, roast the paste for 7-8 minutes or till all the moisture dries up. Be careful not to cook too much, else paste will go solid hard and chewy. Transfer into another bowl, semi cool and add chocolate powder and mix well. Using a rounded tea spoon shape the mixture into equally sized round balls. 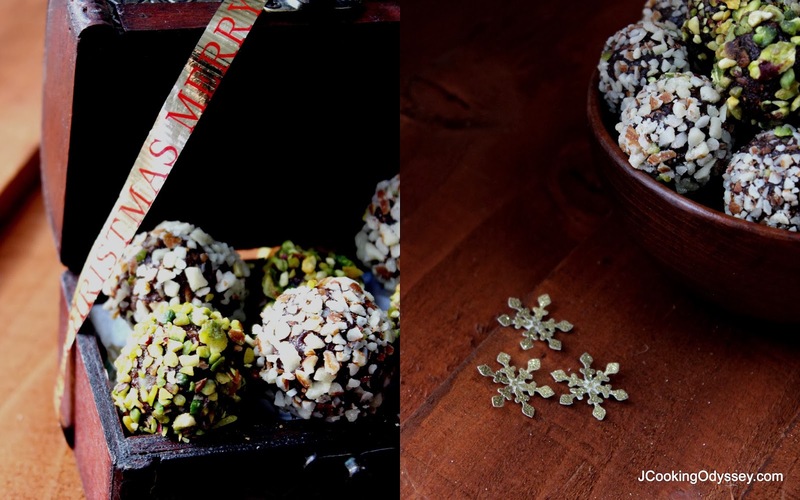 You could also use a melon baller or small cookie scoop depending how large or small you want the truffles. Coat them in finely chopped almonds and pistachio nuts. Let it cool completely and store them in air tight container.